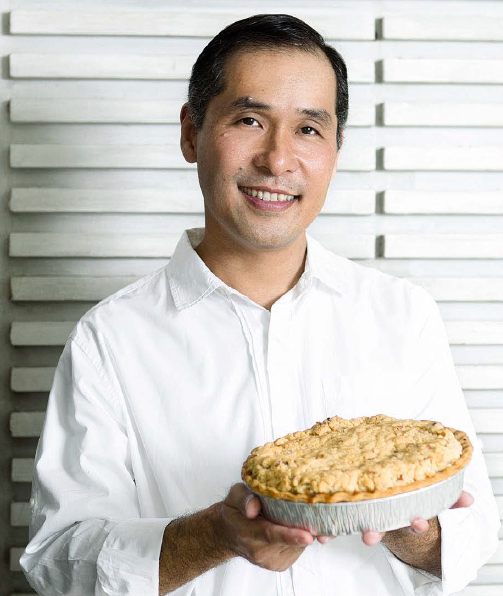 Instinctively, I’m thinking out of the box, because I’m not a chef by profession,” says Ramon ‘Chito’ Benito, who founded Catherine’s Cakes & Pies in 2012, and has proven that a culinary neophyte can teach himself a recipe good enough to sell. From a single walnut pie he made for his wife, he now has 12 baked items for delivery to more than 1,000 unique customers all over Metro Manila. He also regularly supplies coffee shops. Not bad for a civil engineer who used to work in telecoms and karting. He likens discovering the optimum racing setup—when you “don’t have a thousand sessions to try it out”—with perfecting a recipe: “You can tweak each ingredient, puwede mong bawasan, o puwede mong dagdagan. I learned to choose which direction to go to lessen the number of combinations to test,” says Benito.